Founded in 1218, the University of Salamanca is the oldest in Spain. Christopher Columbus consulted the University faculty before embarking on his famous voyage (though his opinions were rejected). The University then went on to reach its peak in the 16th century. The University of Salamanca is Spain’s leading national institution in the teaching of Spanish as a second language and one of the most prestigious universities in Spain. Salamanca is in the region of Spain where the purest Castilian Spanish is spoken. Attendance at all lectures and site visits is mandatory. Transcripts are issued by the University of Salamanca. An official transcript will be sent directly to the student’s home university on completion of the program. 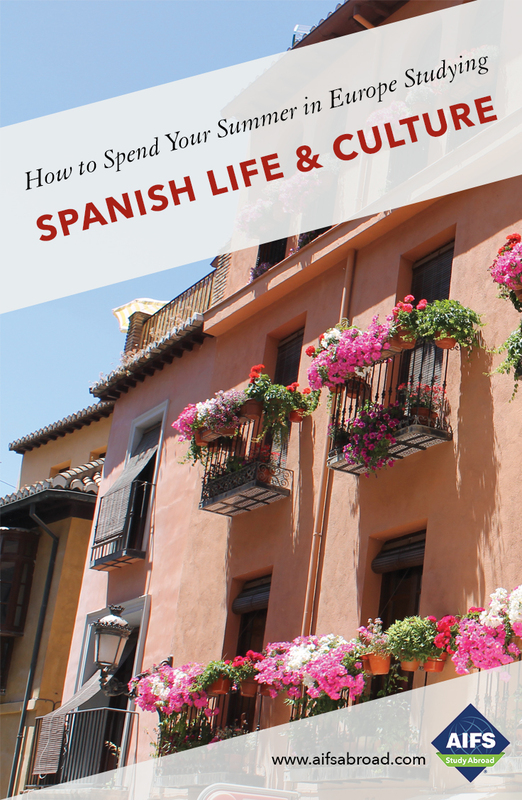 Students will be immersed in the language and culture of Spain with an academic program focusing on improving communication within the context of Spanish daily life and which combines classroom based learning with real-life experience and practice. Transcripts will be issued by the University of Salamanca for 45 contact hours including 20 classroom based hours and the remainder in field trips and activities when students will be required to use their Spanish. The course objectives are for students: to use words and structures with the aim of communicating information in everyday situations; to understand and produce frequently used structures related to everyday personal experience; to understand simple questions and to be able to respond to them confidently. With these objectives in mind students will learn greetings and how to present themselves formally and informally, use of interrogative pronouns and cultural conventions and behaviors concerning the family in Spain. Students will learn to ask for and to give directions and use grammar and lexicon related to location including comparative structures, verbs of movement, descriptive adjectives and cultural conventions and behavior related to living in Spain such as different types of housing, relations with neighbors and vocabulary related to traveling from A to B. Students will also be able to make suggestions and accept or refuse invitations, express basic plans and use vocabulary related to leisure time and activities. Finally, students will be able to use expressions to express likes and preferences, ask for something in a shop and the price and use grammar and vocabulary related to the theme of shopping and food. The course objectives are for students to: understand everyday written text and conversations; to communicate simple written information at Intermediate level; to participate in conversations related to common themes of daily life; to gain a deeper understanding of the sociocultural characteristics and identities of Spain today. Students will be able to make arrangements and express feelings, understand structural conventions and registers in formal conversations and use vocabulary relating to traveling, study, work, quantities and measures and daily routines. Students will also be able to understand public announcements in public spaces, give orders and instructions, understand use of the imperative and use vocabulary related to food, the home and free time. Additionally, students will be able to understand and produce text related to the politics, economy and society of Spain, describing people and places and giving a summary of events. Finally, students will be able to speak in public, expanding and building on ideas and arguments, give opinions and understand and use basic markers of discussion and interaction.